After twenty trips down memory lane, this series has finally come to an end. Below are the twenty sides chosen, in descending order, to represent the 2000s in tactical terms. Choosing the sides was a difficult task. The intention was not to choose the twenty ‘best’ sides, but to choose twenty sides who were somehow interesting tactically, or those who made a significant impact upon the game. The France side of Euro 2004, the Australia side of World Cup 2006 or the Bologna side of 2001/02 will hardly go down as great sides, but were fascinating to study from a tactical point of view. The order is subjective and not based upon any strict criteria, but hopefully the detail about each individual side will cause more interest than the order itself. A few interesting things come out of it – how few three-man defences there are, how few 4-4-2s there are, how three of the top five sides occasionally played strikerless shapes, that Cafu, Gilberto, Thierry Henry, Lucio and Daniel Alves all feature in three sides on the list. 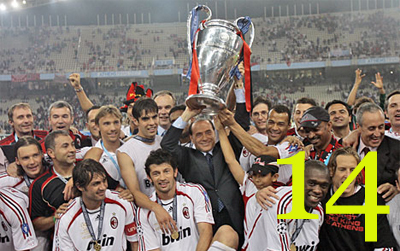 There are other successful sides not on the list – Italy’s World Cup-winning side, Inter’s successful side of the second half of the decade, and a couple of Bayern Munich sides. The list could also rightfully be seen as focusing too narrowly on Western Europe and international tournaments, as fans of the Boca Juniors side of 2003/04, or the recent Shakhtar Donetsk side would point out. Sevilla, 2005-07: For winning the UEFA Cup twice in succession, showing that a traditional 4-4-2 can still work at the highest level when adapted to suit the players at hand. France, Euro 2004: For trying an innovative shape, but ultimately demonstrating that football isn’t about trying to cram your best players into the same team. 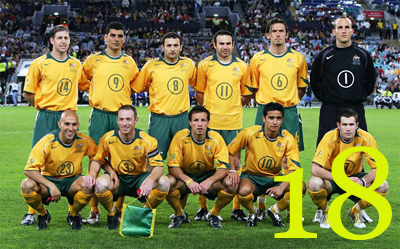 Australia, World Cup 2006: For outlining the value of packing the midfield by playing a 3-6-1 shape, and dominating possession against better sides. 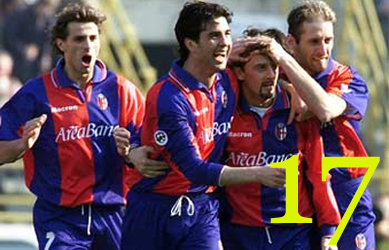 Bologna, 2001/02: For showing how successful a ‘big man holding the ball up’ can be, and for varying their formation but keeping the same tactics. 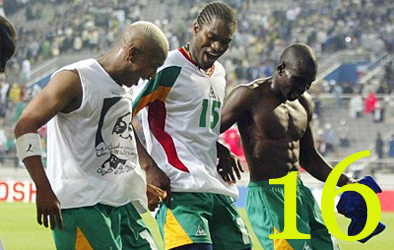 Senegal, World Cup 2002: For shocking the world with their victory over France, and for playing physical but technically excellent counter-attacking football. Brazil, 2007-09: For playing a fascinating 4-2-3-1 / 4-4-2 diamond / 4-2-2-2 shape, and providing one of the most interesting tactical debates of modern times. Milan, 2002-07: For their two Champions League victories, and for playing up to four talented playmakers in the same midfield by reintroducing the deep-lying playmaker. 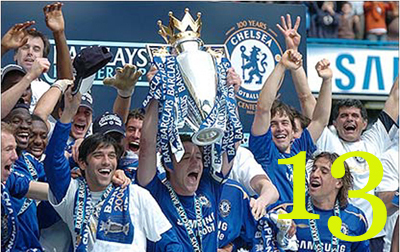 Chelsea, 2004-06: For taking the Premiership by storm and showing how successful the 4-3-3 shape can be by occupying opposition full-backs. Brazil World Cup 2002: For winning the World Cup by playing adventurous football despite fielding seven relatively defensive players in an unusual 3-4-3 shape. 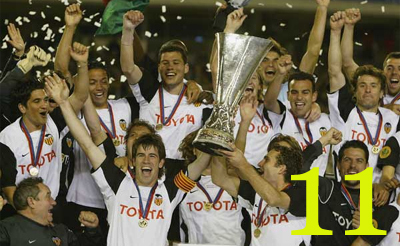 Valencia, 2001-04: For winning La Liga twice and the UEFA Cup, and establishing the 4-2-3-1 as a creditable formation. Roma, 2000/01: For demonstrating how successful a three-man defence can be, and for providing a great debate between two players upfront. 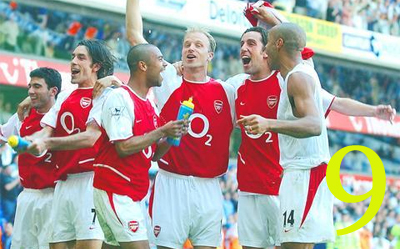 Arsenal, 2001-04: For two incredible title victories by playing wonderful football in a loose 4-4-2 that became a 4-2-3-1. 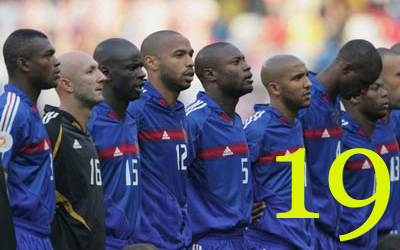 Czech Republic, Euro 2004: For having more attacking options within the first XI than any other side in the decade. Spain, Euro 2008: For playing their way to success through tiki-taka. 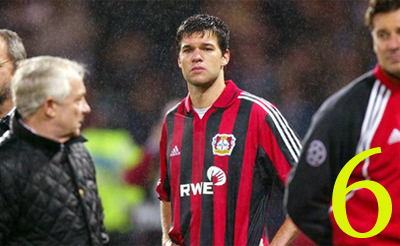 Bayer Leverkusen, 2001/02: For coming so close to three trophies and setting the agenda for how European football tactics would evolve throughout the decade. 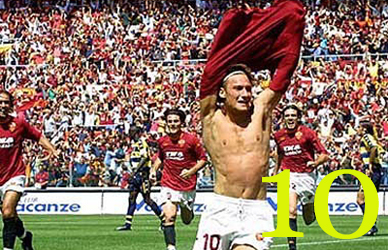 Roma, 2005-07: For hinting at the future of football – strikerless formations. Porto, 2002-04: For achieving the most remarkable club feat of the decade – coming from nowhere to win the Champions League. Manchester United, 2006-09: For an astonishing run of trophies, and for playing different systems and utilising their players so well. Barcelona, 2008/09: For winning every tournament they entered, for playing incredible football, and for being flexible at both ends of the pitch. Greece, Euro 2004: For the biggest shock in the history of football. Top stuff – great work. That Mourinho has two teams in here says a lot for his influence on the modern game. He’s the perfect balance of science and art in coaching. Where is the Milan of Sacchi? Not in the 2000s! Got to applaud ZM for a stupendous amount of effort while keeping such a high level of quality! Cheers! Would’ve really liked a Celtic 2003 mind..
Great article, especially featuring Bologna, which seem odd, but tactically (as this article & this whole site underlines) effective. I hope Tottenham features in this website more, eventhough I won’t classified Redknapp as a tactician. It’s a shame the series has come to an end. Only another 10 years before you start the next one! Superb series, I stumbled upon this website a couple of days ago and have read pretty much every article. This is one of my favorite websites on the web so please keep it up! Simply fantastic, as i’ve already said, that was a wonderful read. I love the choices you’ve gone for and whilst not agreeing entirely (how can anyone, it’s subjective), you have brought ideas to my attention I had never previously considered. Ending on that superb Greece side, magical. Keep up the excellent work. I know there’s an Europe / World Cup performance bias, but I can’t believe that you left out Bielsa’s Argentina 2000-4. At least generating discussion, with many in favour, many against it, it was a high-profile side that played a type of offensive football not seen in many years. You could describe it by the motto: “We are 22 players, here. Let’s play 75 minutes, with 18 peopleo on your field. I’ll give you the counter-attack as an option”. Many times, the thing ended in the frightening scene of two defenders chasing the opossing forward with 50 meters free of field, but it transpired a superiority without par in that time. I think Capello’s Real Madrid (and the next Real Madrid that inherited its system) should be taking into this top20, he won two leagues in a row playing against the best team ever: FC Barcelona. I think it have to be included within these 20. That’s actually an excellent shout, of all the suggestions about missed-off teams, I agree with that one the most. Do you have something against Real Madrid ? It’s obvious that they were the best during the beggining of the decade, and when they got a more “humble” team they managed to win FC Barcelona twice in a row at the Spanish championship (which was the thoughest in Europe on those days). I agree, fantastic shout for that Cheivo side. Not a star player in sigh, in fact not a single one of them off the top of my head has gone on to better things. Incredible effort by them. This list is simply a joke. No right minded person can take this seriously. Thanks Janne! Any chance of outlining why you feel this way, or is it merely criticism without reason? I think somebody failed to read the “the intention was not to choose the twenty ‘best’ sides, but to choose twenty sides who were somehow interesting tactically” bit. Url for this website has been published in a finnish online-magazine called Ilta-Lehti, under the title “Here are the best teams in this decade” So that may be the answer to this bitter post. Terrific site. Easily the best football analysis on the net. Top class. What about the Liverpool that won the CL title? Arguably one of the most surprising wins with the greatest final of all time? Great article. I think the Bayern muenchen team of 1999-2001 deserve a mention here as one of the most tactical drilled and versatile team. Good choices. But Brazil played in 4-2-3-1 in 1970 World Cup too. Should definately contain a Liverpool 2005 ! I’m curious why you left out Hitzfeld’s 2001 Bayern side, especially in favor of the Roma/Leverkusen side which were the most similar. They more or less innovated the wing forward role with Salihamidzic and Scholl playing just behind the strikers and cutting in from each flank. They also played with a deeper playmaker in Effenberg (which Xavi is most like today) and employed a three-man backline. I have to say that this is a simply excellent site, that I will be back to again and again! 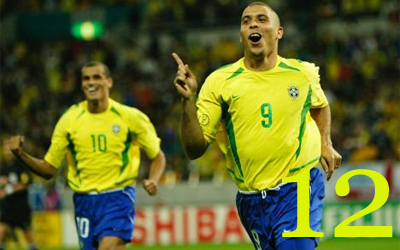 Please do a bumper special preview on the World Cup…. I desperately need to pass off your insightful comments as my own!